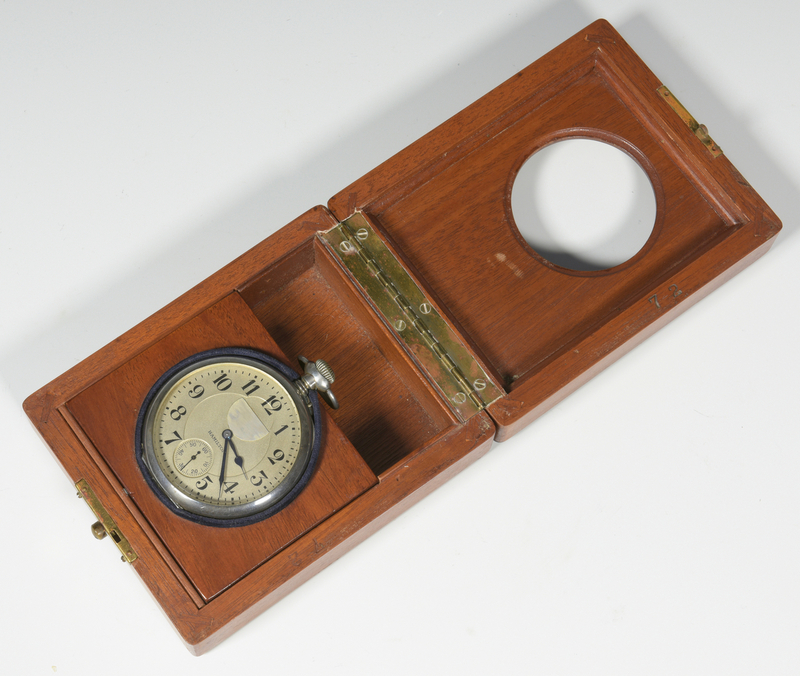 Hamilton Chronometer Watch, used as a ship's master clock; double boxed in Mahogany and glass case with leather strap. 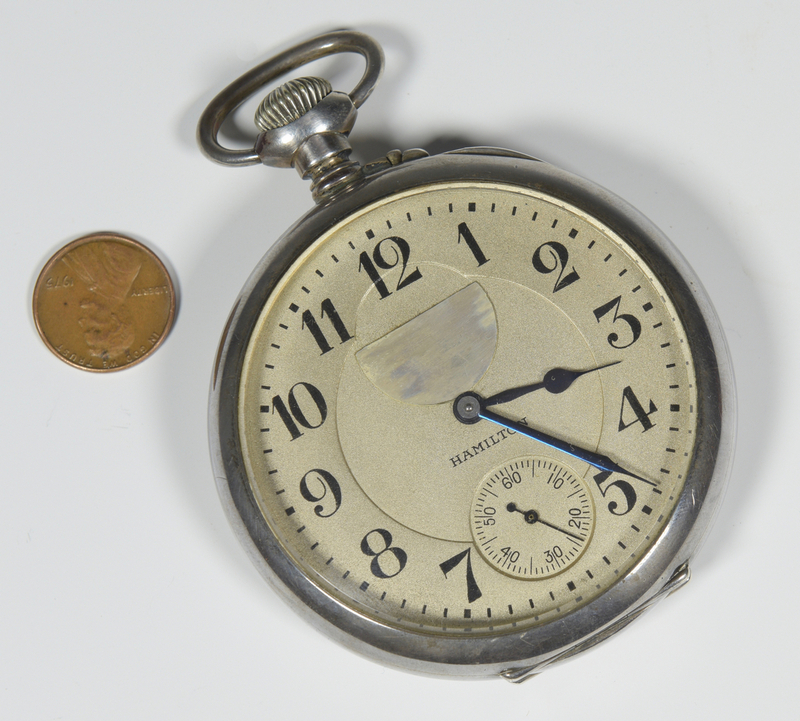 Watch marked STERLING, works marked Hamilton Watch Co. Lancaster, PA 21 Jewels, Adjusted 5 Positions, Motor Barrel, Double Roller, 1260324. 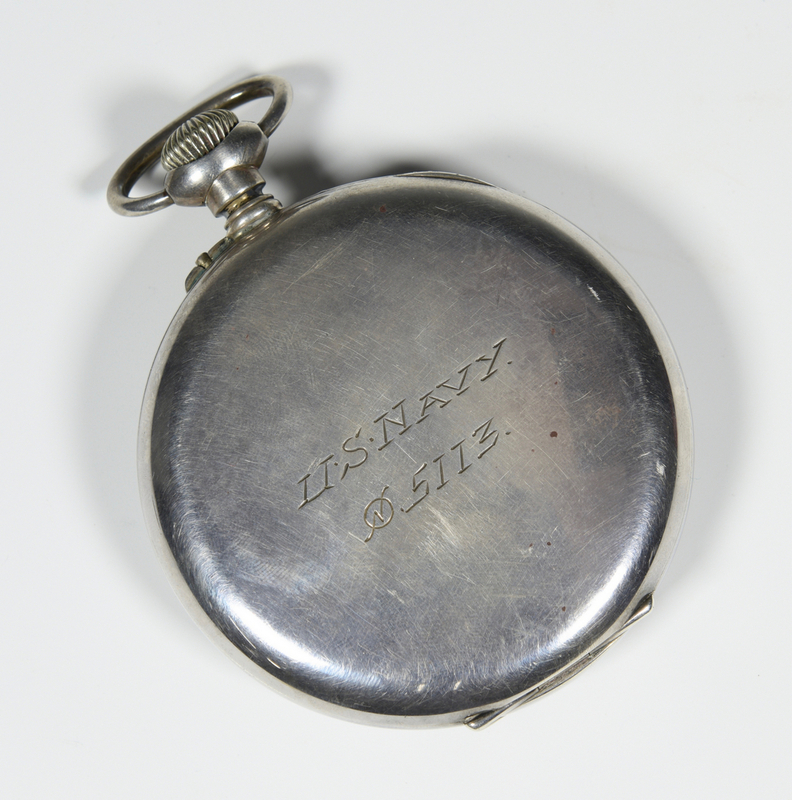 Watch is engraved on back "U.S. Navy 5113." 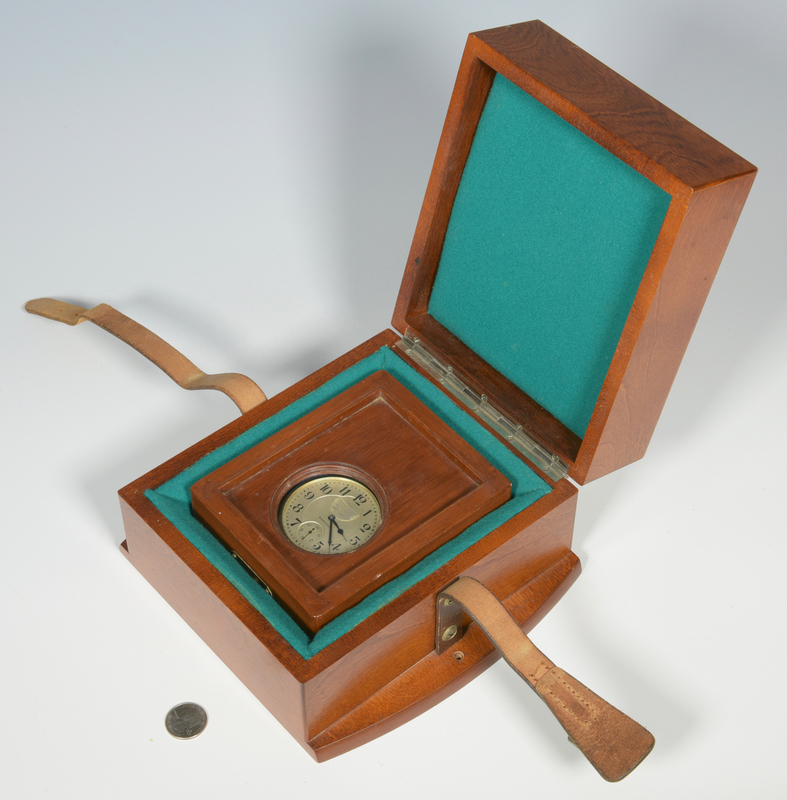 Watch – 2 5/8" diam. 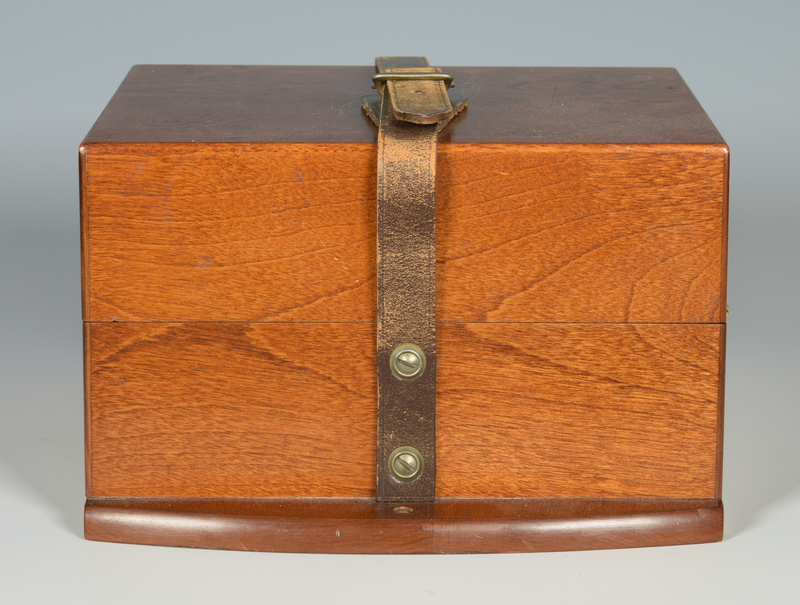 Outer box – 5" H x 8" L x 7" W. Mid 20th century. Provenance: the estate of Capt. L. Bush Cole, Nashville, Tennessee (formerly of Texas). CONDITION: Watch runs when wound. Surface scratches at back plate lip. 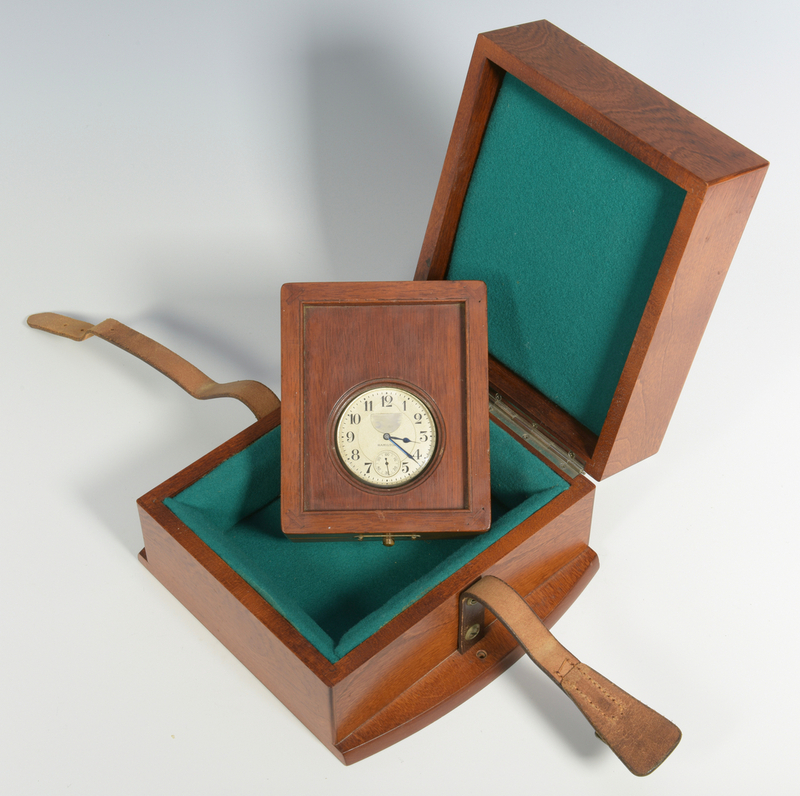 Wooden case in excellent condition with some wear to leather strap.